I subscribe to a little trivia newsletter called “Wisegeek” that comes a couple of times a week in my inbox. The other day, the topic was, Do Americans Still Read for Pleasure? One of my all-time favorites--it's on my keeper shelf! It may surprise you, since it's not a romance, and it's "alternate history"--but I love this author and this story. • A little more than half of all Americans older than 16 visit a library during a year. • India is the country where people read the most, at an average of more than 10 hours per week. • More than 80% of Americans age 50-64 say they read the pleasure, which is the highest rate of any age group. Do these figures shock you? For me, they were a real eye-opener. I was amazed to find out that there were 25% of our population of adults that had NOT read one book in the past year! In the past 35 years, the number of people who have NOT read a book in the past year has tripled. That breaks my heart! And it’s astonishing to me. If you've never read this book, let me recommend it with all my heart. 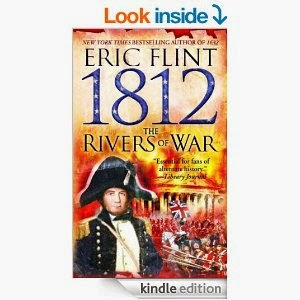 It's one of those books that, when you finish it, you won't ever forget it. I have 2 copies of it and I never loan out either of them. The one good thing—if you can call it that—that this survey shows is that on average, 8 more books per year are being read by adults with some kind of electronic device to read them on. Now, don’t get me wrong. I love my Kindle. But…I read a lot of paperback books, in addition to this. I’d like to know about people like me who have both—an e-reader and the paperbacks all over the house. What's the best book you've read recently? 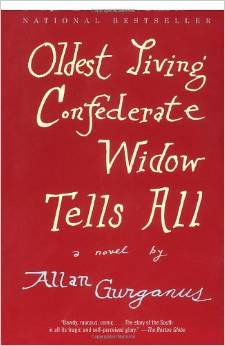 I'm reading OLDEST LIVING CONFEDERATE WIDOW TELLS ALL by Allan Gurganus right now. It's a one-of-a-kind book--the retelling of a life by the woman who lived it. No, it's not a true story, but it's witty, funny, and poignant--the author is wonderful, and the story is so unique it's hard to put down. 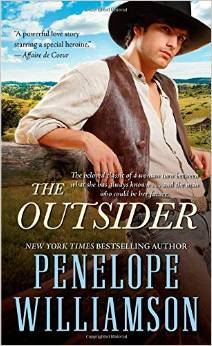 Another favorite of mine is The Outsider by Penelope Williamson. It’s an oldie, but a goodie—and I just discovered it last year, thanks to our own Kathleen Rice Adams. It was so good, in fact, that a movie was made from it. I’m anxious to hear your thoughts about this survey and if any of this surprises you—then let’s talk good reading. What’s your pick? What states do you associate with coal mining? Until I lived in Parker County, Texas, I had believed coal mines were in West Virginia, Virginia, Kentucky, and Tennessee. Imagine my surprise to learn my home state of Texas had/has a large number of coal mines. Because my work in progress features an 1885 rancher who goes undercover in a lignite coal mine, I needed to do further research on coal mining in this time period. My family love to take short trips around our area of North Central Texas. One of the places we’ve visited is Thurber, Texas. Today, only the smokestack of the brick plant remains. However, the coal company store had been restored and is now a restaurant. We enjoyed eating there and looking at all the photos of the mine period. Now there’s a museum across the Interstate 20, but we never make it by on a day when the museum is open. The museum has recently been adopted by Texas A&M University at Stephenville. We are definitely planning a trip to visit during their open hours. Although my story, O’NEILL’S TEXAS BRIDE, takes place in Central Texas, I am focusing today on the town of Thurber. Though it is a ghost town today, Thurber once had a population of perhaps as many as 8,000 to 10,000. At that time (1918–20 and after the setting of my novel) it was the principal bituminous-coal-mining town in Texas. The site of the town is seventy-five miles west of Fort Worth in the northwest corner of Erath County. The coal deposits were discovered in the mid-1880s by William Whipple Johnson, then an engineer for the Texas and Pacific Railway. He began mining operations there in December 1886 with Harvey Johnson. Isolation forced the operators to recruit miners from other states and from overseas; large numbers of workers came from Italy, Poland, the United States, Britain, and Ireland, with smaller numbers from Mexico, Germany, France, Belgium, Austria, Sweden, and Russia. Black miners from Indiana worked in the mines during the labor troubles of the 1880s. The force of predominantly foreign workers, many of whom spoke little or no English, enabled the company to maintain a repressive environment for many years. Following inability to meet a payroll and a resulting strike by miners, the Johnsons sold out in the fall of 1888 to founders of the Texas and Pacific Coal Company, including Robert Dickey Hunter, who became president of the new company, and H. K. Thurber of New York, for whom the town was named. Colonel Hunter chose to deal with the dissident miners, who were affiliated with the Knights of Labor, with an iron hand. The new company fenced a portion of its property and within the enclosure constructed a complete town and mining complex, including schools, churches, saloons, stores, houses, an opera house seating over 650, a 200-room hotel, an ice and electric plant, and the only library in the county. Eventually the strike ended, and the miners and their families moved into the new town. In addition to the mines, the company operated commissary stores. As in the typical company town, low pay, drawn once a month, forced employees to utilize a check system between pay periods, whereby the customer drew scrip, reportedly discounted at 20 percent, for use at the company's commissary stores. In 1897 a second industry came to the town, a large brick plant; Hunter was also a partner in this operation, which, although it was separate from the mining company's holdings, used clay found on company property. A stockade, armed guards, and a barbed wire fence, which restricted labor organizers, peddlers, and other unauthorized personnel, regulated access to the town. Despite the retirement of Colonel Hunter in 1899, Thurber remained a company-dominated community. William Knox Gordon, the new manager of the Thurber properties, at first continued the established policy of suppression and anti-unionism. Continuation of such activities resulted in a concentrated effort by the United Mine Workers to unionize the Thurber miners. Following the induction in September 1903 of more than 1,600 members into the Thurber local of the UMW and the organization of locals of carpenters, brick makers, clerks, meat cutters, and bartenders, the company opened negotiations with the workers and, on September 27, 1903, reached an agreement resulting in harmonious labor-management relations. Thurber gained recognition as the only 100 percent closed-shop city in the nation. The victory at Thurber indicated what unions might accomplish with effective leadership and more congenial opponents than employers like Colonel Hunter, even when confronted with problems as difficult as organizing diverse ethnic groups. Despite occasional strikes, basic labor-management harmony prevailed, and Thurber remained a union stronghold until the demise of mining operations in the 1920s, after railroad locomotives began to burn oil rather than coal. Gordon's discovery of the nearby Ranger oilfield in 1917 stimulated this conversion, and the change of the company name to Texas Pacific Coal and Oil Company in April 1918 signified shifting company interest toward oil production, which yielded large profits from 1917 to 1920. The conversion to oil-burning locomotives led to Thurber's demise; declining use of coal and a resulting wage cut led to labor unrest lasting through much of the 1920s and to a strike in 1926 and 1927. Many miners accepted UMW assistance and moved to mining areas in other states. 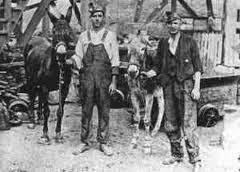 Numerous Italians returned to Italy rather than work in nonunion mines, and in 1926 the union chartered two railroad cars to return to their homeland 162 Mexicans, who likewise refused to scab. By the end of 1927 no union miners remained in the state. The company maintained operation of the brick plant until 1930, a general office until 1933, and commissary stores until 1935. By the late 1930s Thurber had become a virtual ghost town. The population was listed as eight in 2000. 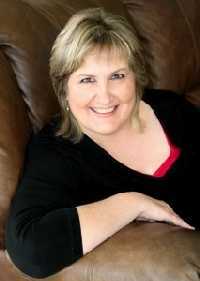 Caroline Clemmons writes Texas-set western historical and contemporary romances. Her latest release is WINTER BRIDE, in the Stone Mountain Texas series. In May, she will release O’NEILL’S TEXAS BRIDE, book two of the McClintock series. 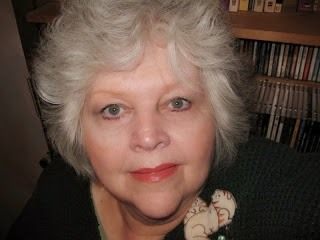 Check her website at www.carolineclemmons.com for a listing of her books or visit her Amazon Author Page. To be notified of her upcoming releases and contests, sign up for her newsletter. Documentation shows people in China using paper to wipe with after using the necessities, and that during the 14th century (the Ming Dynasty) over 720,000 sheets of specific perfumed paper for such uses were manufactured for use by the imperial court. Elsewhere in the world, wealthy people used wool, lace, or other such fabrics, while those not as well-off used about everything—from rags to grass and leaves, stones, sticks, corncobs and husks, moss, river rocks, etc. Some items were washed to be used again, or placed in a pail of vinegar stationed near the defecating area. Even today, there are parts of the world where alternatives to the toilet paper we know in the U.S. are used. 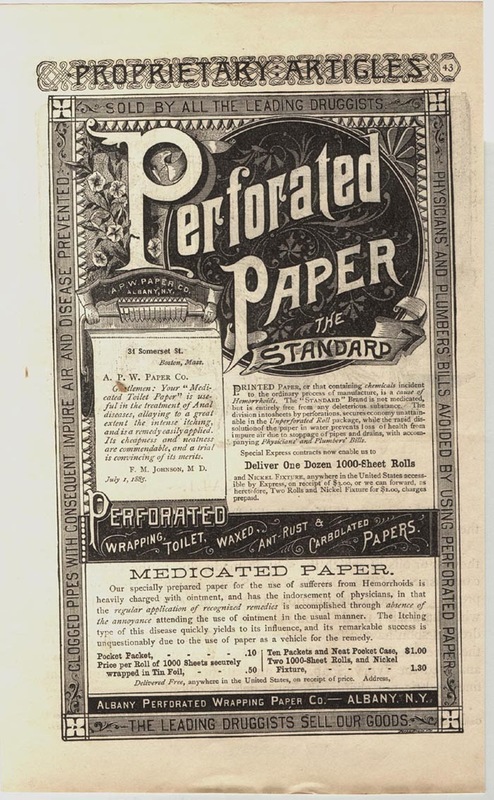 Popularity grew again when Seth Wheeler obtained the earliest U.S. patents on ‘toilet’ paper and accompanying dispensers in 1883. Others soon followed. 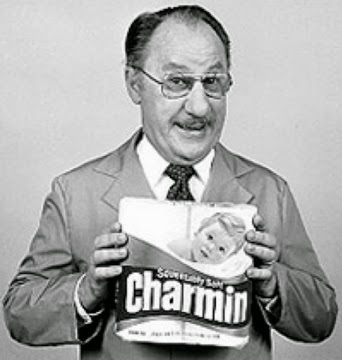 The Scott Company, who became a major producer of toilet paper was too embarrassed to put their name on a product of such a sensitive subject, and therefore named it for the companies they produced it for—The Waldorf Hotel in New York became a big name in toilet paper due to purchasing large amounts for their customers. The Scott Brothers didn’t officially take credit for producing the ‘product’ until 1903. It was still a ‘taboo’ subject, and few asked for it by name, however, the increasing number of homes with ‘indoor’ plumbing initiated the need for something that could be flushed without damaging pipes. Plumbers, as well as doctors, then started ‘prescribing’ the use of commercially made paper-products. Just as most paper is produced, wood was used to create toilet paper and the processes at the time often left splinters in the rolls. It wasn’t until the 1930’s that Northern created and advertised ‘splinter free’ toilet paper, and became a top-selling brand. The creation and wide-spread use of ‘paper’ in ‘water-closets’ led to the term toilet as in the plumbing fixture we know it as. Originally a French term, toilet meant the act of washing, dressing, and preparing oneself.” The term evolved into a name of a room for such activities, and eventually into the fixture we know it as today. Well, apparently he’d just finished watching a documentary on the history channel or one of the science channels about Hugh Glass. I pulled out one of my favorite resource books, The Mountain Men, by George Laycock, and opened it to one of many dog-eared pages. 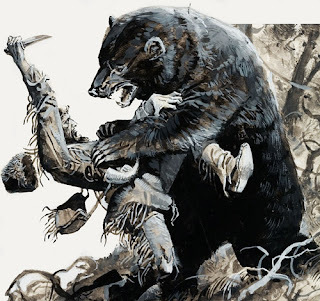 I have wanted to use some aspect of Hugh Glass’ incredible tale in one of my novels, but the story is so fantastic, I don’t think it would even work in a work of fiction. 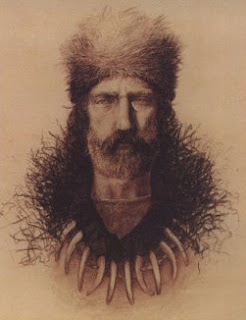 The story of Hugh Glass has to be one of the most amazing stories of survival in the history of the west. The man practically became a legend in his own time. He’d led a life as a pirate before he decided to become a fur trapper in the early 1820’s at the age of 40. He signed on with William Ashley and Andrew Henry, who led an expeditions up the Missouri River in 1823. When they reached the Grand River near today’s Mobridge, South Dakota, they left their boats to head toward the Yellowstone on land. During this journey, in which many of Ashley’s men were killed by Arikara Indians, Hugh Glass surprised a grizzly sow and her two cubs. He was away from the rest of his party at the time, and the grizzly attacked him before he was able to shoot his rifle. He fought the bear with his bare hands (no pun intended) and a knife, and nearly killed it, but he was badly mauled during the fight. His companions heard his screams and came running. They found a bloody and badly maimed Glass. He was barely alive, with the grizzly lying on top of him. They killed the bear and pulled Hugh’s body from underneath her. Everyone knew that there was no hope for their friend. They bandaged him as best as they could, and waited for him to die. The danger of Indians discovering them was a constant fear, and Hugh’s moans and cries of pain would certainly give them away. William Henry decided their group needed to move on. It wasn’t worth risking their lives for one dying man. He asked for a couple of volunteers to stay behind and bury Glass properly once he died. John Fitzgerald and Jim Bridger agreed and immediately began digging the grave. They waited. Three days later, Glass was still alive. Fearful of Indians, Fitzgerald persuaded Bridger that they should leave and follow their comrades to the Yellowstone. Fitzgerald picked up Glass's rifle, knife and other equipment and dumped him into the open grave. They threw a bearskin over him and shoveled in a thin layer of dirt and leaves, leaving Glass for dead. But Glass did not die. It’s not known how much time passed, but he regained consciousness. He was alone and without weapons in hostile Indian territory. He had a broken leg and his wounds were festering. His scalp was almost torn away and the flesh on his back had been ripped away so that his rib bones were exposed. The nearest help was 200 miles away at Ft. Kiowa. His only protection was the bearskin hide. Glass set his own broken leg and began crawling toward the Cheyenne River about 100 miles away. Feverish and fighting infection, he was often unconscious. It is said that he used maggots to eat away his infected flesh. Then, according to legend (or tall tale at this point, take your pick) he woke up to find a grizzly licking his maggot-infested wounds which could very well have saved him from further infection. Glass survived mostly on wild berries and roots. On one occasion he was able to drive two wolves from a downed bison calf and eat the raw meat. According to Glass's own account he only stayed alive to seek revenge, that he wanted to kill the men who had left him for dead. It took Glass two months to crawl to the Cheyenne River, where he built a raft which carried him downstream to Ft. Kiowa on the Missouri. After he was nursed back to health over many months, Glass set out to kill the two men who had left him for dead. 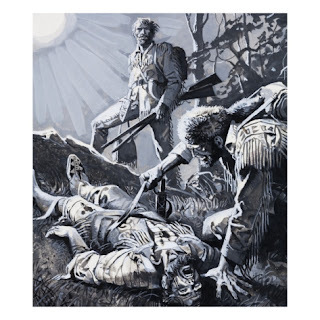 He found Bridger at a fur trading post on the Yellowstone River but didn't kill him because Bridger was only 19 years old, and just following Fitzgerald’s orders. Glass later found Fitzgerald but changed his mind about killing him because Fitzgerald had joined the Army. Glass eventually returned to the Upper Missouri where he died in 1833 in a battle with hostile Arikaras Indians. The story of Hugh Glass has been made into a movie "A Man in the Wilderness" in 1971 staring Richard Harris and John Huston, a moderately accurate film. A novel, "Lord Grizzly" also recounts and embellishes the story. 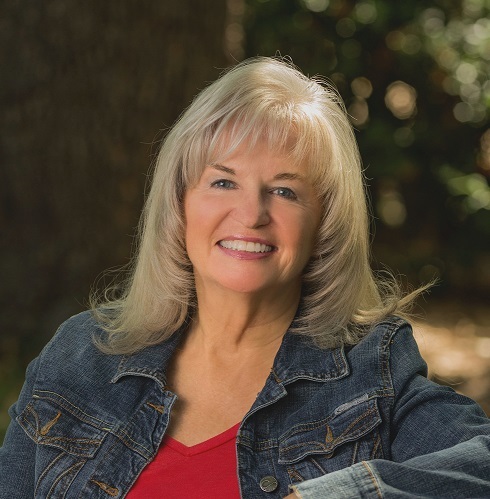 Peggy L Henderson is a laboratory technologist by night, and best-selling western historical and time travel romance author of the Yellowstone Romance Series, Second Chances Time Travel Romance Series, Teton Romance Trilogy, and Blemished Brides Western Historical Romance Series. When she’s not writing about Yellowstone, the Tetons, or the old west, she’s out hiking the trails, spending time with her family and pets, or catching up on much-needed sleep. She is happily married to her high school sweetheart. Along with her husband and two sons, she makes her home in Southern California. Currently, Charlene is working on the cover for Dashing Irish, Tye Devlin’s story. Tye’s love interest is Lil Crawford, a Texas cowgirl with a bruised heart and a chip on her shoulder. Since her older brother died in the Civil War, Lil has more or less taken his place, working on her father’s ranch alongside the male ranch hands. She wears pants and a six shooter, and goes along on a cattle drive to Kansas. This time my topic is the National Cowgirl Museum and Hall of Fame and one of its honorees. Founded in 1975 in the basement of the Deaf Smith County Library in Hereford, Texas, the museum was moved to Fort Worth in 1994. It settled into its 33,000 square-foot permanent quarters in the city’s Cultural District in June 2002. 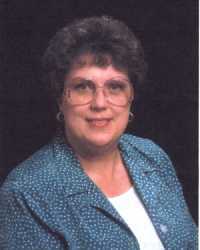 The museum’s Executive Director is Pat Riley. Appointed in 1996 following the move from Hereford, Riley led the planning, design, fundraising and opening of the new museum in 2002. Riley has built upon the work started by founding director Margaret Formby, and has established the Museum on a national level. There are over 200 honorees in the Cowgirl Hall of Fame. They include pioneers, artists, businesswomen, educators, ranchers and rodeo cowgirls. A few famous ones are Georgia O'Keeffe, Sacagawea, Annie Oakley, Dale Evans, Enid Justin, Temple Grandin and Sandra Day O’Connor. Another is Joyce Gibson Roach, author, educator, rancher and 5th generation Texan, who I quoted in my previous cowgirl post. I recently purchased two books by Ms. Roach. One is titled Horned Toad Canyon, a children’s book about these unusual creatures that inhabit the arid, wide-open southwestern prairie. Also called horned frogs, they are the mascot for Texas Christian University, my daughter’s alma mater. How could I resist this charming little book? The other book I purchased is The Cowgirls. “The cowboy may be our most authentic folk hero, but the cowgirl is right on his heels. 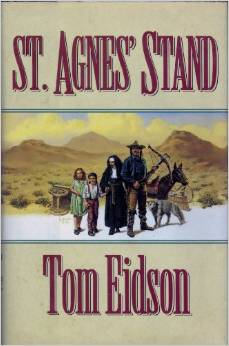 This Spur Award winning book fills a void in the history of the cowgirl. While Susan B. Anthony and her hoop-skirted friends were declaring that females too were created equal, Sally Skull was already riding and roping and marking cattle with her Circle S brand on the frontier of Texas. In Colorado, Cassie Redwine rounded up her cowboys and ambushed a group of desperadoes; Ann Bassett, also of Colorado, backed down a group of men who tried to force her off the open range. 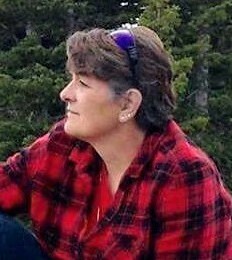 In Montana, Susan Haughian took on the United States government in a dispute over some grazing rights, and the government got the short end of the stick. 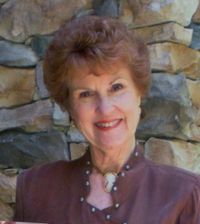 Susan McSween carried on an armed dispute between ranchers in New Mexico and the U.S. Army, and other interested citizens. Since we all love romance here on Sweethearts, I’ll close with a romantic quote from Henrietta King, wife of Richard King. For 40 years after her husband’s death, Henrietta was sole owner of the King Ranch, largest ranch in North America. When Disaster Strikes, What Would You Do? None of us know what we would or wouldn’t do in a disaster until it’s upon us. We would probably like to think we would act calmly and preform with courage and valor. Maybe we even hope we will lead others to safety or protect them in horrific circumstances. Perhaps these hopes, fears, and wishes make us think about the disastrous sinking of the RMS Titanic on April 15, 1912 at 2:20 AM. One person that comes to mind when I think about the sinking of the Titanic is the unlikely heroine, a wild western woman, Margaret Brown. She did what we all hope we would do in the face of a horrific disaster. 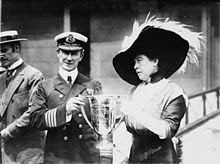 After her heroic efforts, she later became known as the “Unsinkable Molly Brown”. But the Titanic is not the only time Margaret rose to the occasion as a humanitarian and a leader. Settle back in your desk chair or recliner while I tell the tale of the remarkable Margaret Brown. But things were about to change, The Brown family acquired great wealth when in 1893 J.J.'s mining engineering efforts proved instrumental in the production of a substantial ore seam at the Little Jonny Mine of his employers, Ibex Mining Company, and he was awarded 12,500 shares of stock and a seat on the board. In Leadville, Molly helped by working in soup kitchens to assist miners' families. In 1894, the Browns moved to Denver, Colorado, which gave the family more social opportunities. 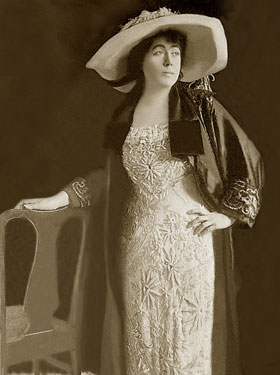 Molly became a charter member of the Denver Woman's Club, whose mission was the improvement of women's lives by continuing education and philanthropy. Adjusting to the trappings of a society lady, Molly became immersed in the arts and became fluent in French, German, and Italian. Molly co-founded a branch in Denver of the Alliance Française to promote her love of French culture. I had a hard time learning French in high school. I certainly can’t imagine learning two other languages fluently as well, so I think these accomplishments show how smart and determined Molly Brown was. Unfortunately, the blue bloods of Denver found Molly to flamboyant and forceful for their taste and she was never accepted into their society. Sadly, after 23 years of marriage, J.J. and Molly privately separated in 1909. 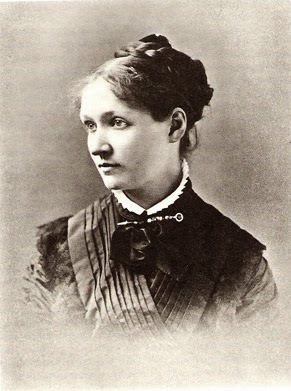 The agreement gave Margaret a cash settlement and she maintained possession of the house on Pennsylvania Street in Denver. She also received a $700 monthly allowance (equivalent to $18,374 today) to continue her travels and social work. They continued to stay in touch and cared for one another through the rest of their lives. They had 2 children, Larry and Helen. Molly Brown continued her social work by assisting in the fund-raising for Denver's Cathedral of the Immaculate Conception which was completed in 1911. She worked with Judge Lindsey to help destitute children and establish the United States' first juvenile court which helped form the basis of the modern U.S. juvenile courts system. And then she boarded the Titanic. But Molly wasn’t finished. She ran for Senate in 1914 but ended her campaign to return to France to work with the American Committee for Devastated France during WWI. Later, when J.J. Brown died on September 5, 1922, Margaret told newspapers, "I've never met a finer, bigger, more worthwhile man than J.J. Brown." J.J. died without a will and it caused five years of dispute between Margaret and her two children before they finally settled the estate. Due to their lavish spending J.J. left an estate valued at only $238,000, equal to $3,353,292 today. Molly was to receive $20,000 in cash and securities (equal to $281,789 today), and the interest on a $100,000 trust fund (equal to $1,408,946 today) in her name. Her children, Lawrence and Helen, received the rest. A court case against Helen and Lawrence was settled privately, and Margaret and her children were reconciled at the time of her death in 1932. Her fame as a well-known Titanic survivor helped her promote the issues she felt strongly about—the rights of workers and women, education and literacy for children, historic preservation, and commemoration of the bravery and chivalry displayed by the men aboard the Titanic. During World War I in France, she worked with the American Committee for Devastated France to rebuild areas behind the front line and helped wounded French and American soldiers. She was awarded the French Légion d'Honneur for her good citizenship including her activism and philanthropy in America. During the last years of her life, she was an actress. After she died in 1932 (during the Great Depression), her two children sold her estate for $6,000, equal to $109,311 today. She is buried in the Cemetery of the Holy Rood in Westbury, New York. 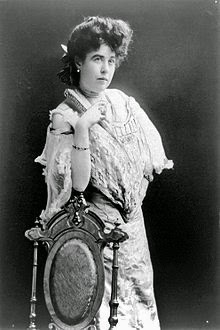 Margaret Brown, the unsinkable Molly Brown, will live in our memories forever. Though wealth may have given her the opportunity to be in first class on the HMS Titanic, it was her willingness to act with valor and courage when it was greatly needed, that made her famous and for which we will always honor her in our hearts. Instead of a post relating to a western topic this month, I decided to write something personal. I think it helps readers see us writers are affected by everyday events like everyone else, except we may work our life events into a story we might write in the future. It's been a month of memories for me, both good, bad, and sad as I clean out my parent's home of their final belongings. Both were now in the nursing home and the material existence of their sixty-nine years together had to be reduced to fit in a few plastic tubs of keepsakes. Mom was a "paper saver" so every childhood event program the four of us kids were ever in was saved, along with canceled checks of major purchases, recipes clipped from magazines, greeting cards going back to over fifty years ago, to snapshots from the 1920's to present day. Everyday events listed on pieces of papers told the history of my parent's marriage and as us children were added to the family. The history of previous generations were also revealed from the photos and documents mom saved from her and my father's parents and grandparents too. It's easy to see where my ideas for stories come from when handling my family's paper trail. The check stubs I found from 1919 showed the final dispersal of money to the children of Samuel and Charlotta Johnson, who I based my Planting Dreams series on. The material scraps my grandmother was using for quilt blocks is still in the same shoe box she put them in before she suddenly died in 1946. Quilts made by her and her ancestors were worked into my Trail of Thread series. 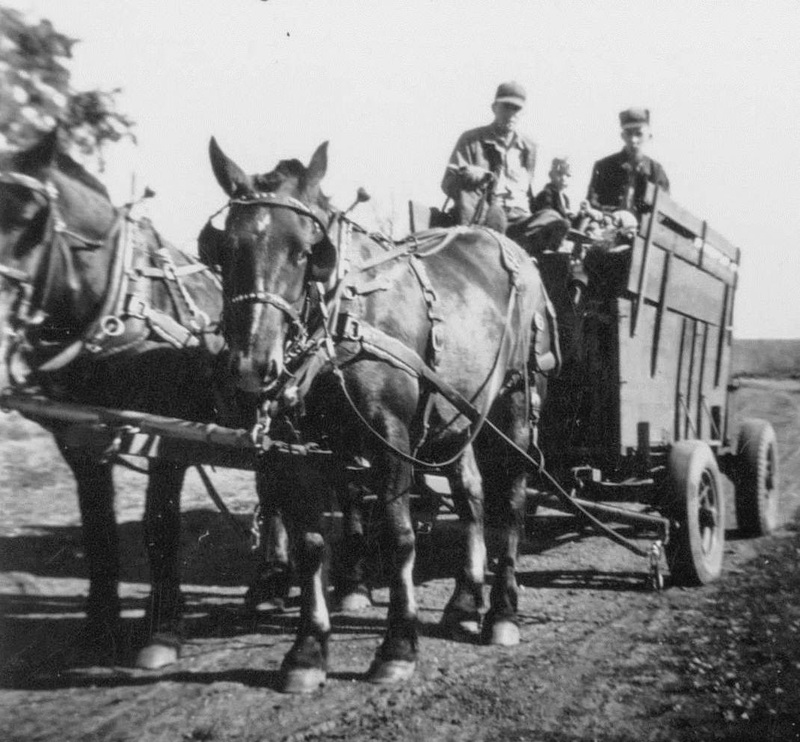 Photos of the wagon my newlywed parents used to haul their meager belongings from their town apartment to their newly rented farm in 1946, were studied and described in my great grandparent's trip from Kansas to the Indian Territory in my Tying the Knot book. 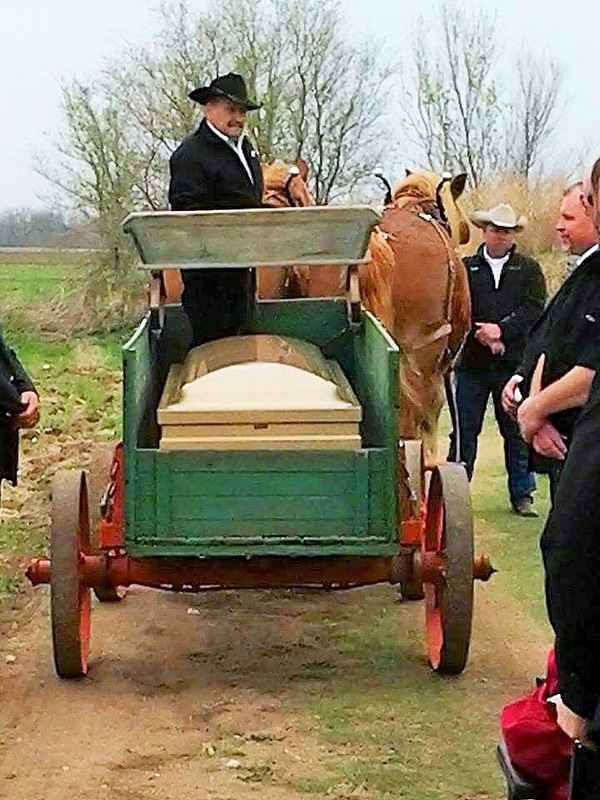 And this same wagon, saved and rebuilt by a grandson, was used to carry my father's casket to his final resting place last week. You can bet this event will be mentioned in a future story of mine too. Once again I’m turning to a book by Chris Enss, WITH GREAT HOPE: WOMEN OF THE CALIFORNIA GOLD RUSH, also written by JoAnn Chartier. 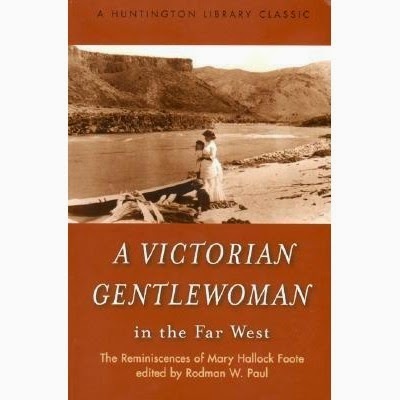 This book has a dozen or so stories of women who went “west with great hope for the future [and] left a legacy.” Mary Hallock went west with great reluctance. A Quaker from New York, Mary was already a well-established artist when she married, in great trepidation, Arthur Foote in 1876. She had learned the intricate, difficult and tedious artistic process of woodcarving while studying at the Cooper Union Institute School of Design, the only art school at that time who admitted women. Her instructor, William Linton declared her the best wood designer at Cooper Union. It was just the beginning of praises for her work. Within a few years of graduating at the age of seventeen, Mary had sold four pictures for the book Beyond the Mississippi. Ten years after leaving school, Mary was busy illustrating books for a number of publishers, including Harper’s Weekly. She was quite content with her life, unmarried as she was. In 1874, she met Arthur Foote at a party and while they conversed in private, she sketched him, unaware that he would later be her husband. He was an engineer who had worked at both the Tehachapi Pass and the Sutro Tunnel. He had attended Yale University’s Scientific School until being told erroneously that his bad vision could not be corrected. Arthur dropped out two years shy of graduating. However, he later obtained corrective lenses and went West to seek his fortune, determined to win the heart and hand of the woman he loved. He conducted his courtship via letters. Mary replied to his written declarations with extols of Eastern society and life, making clear her intentions of remaining a successful, unmarried artist. Arthur persisted though, and returned to Boston to marry her. She weighed carefully his proposal and finally agreed to the marriage. Shortly after they exchanged vows in her parents’ parlor she travelled to New Almaden, California, with a commission to illustrate a new addition of The Scarlet Letter in hand. The western landscaped proved a wonderful backdrop for the drawings she sent back east. She also sent letters to her good friends Helena and Richard Glider. Richard was the publisher of Scribner’s Monthly and he pieced together some of Mary’s descriptions in a few articles for his magazine. From there, Mary was encouraged to write stories set in the area. The result of this was The Led-Horse Claim about the silver boom in Colorado. Arthur’s work had the family moving around quite a bit during the early years of their marriage. Sometimes, work was hard to find and it was Mary’s income from her books that sustained the family during the rough times. At one point, when Arthur’s business venture failed and, to make matters worse, the bank holding his savings also collapsed in a national bank panic, he sank into both depression and drink. It was then that Mary took their three children and left him for a short time. To support herself and her children, Mary released a series of western potboilers that were not literary masterpieces, but did the job of keeping a roof over their head and food in their stomachs. 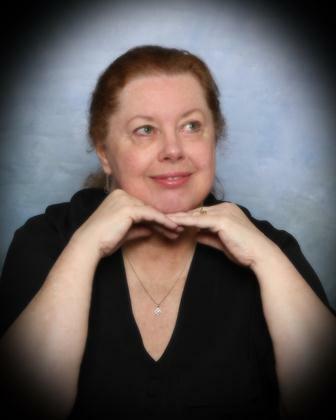 In three years, she wrote five adult tales, two children’s stories and several short stories. Mary had to follow a formula (sort of like Harlequin does today) and this resulted in works that were popular fiction but not very durable. Mary herself wasn’t overly proud of the work, but they paid the bills during her husband’s uneven employment. In 1895, Arthur took over as supervisor of the North Star Mine in Grass Valley California. The couple remained there for the next twenty years. Even with Arthur’s stable job, Mary continued to write and draw. Life was good, until 1904, when tragedy struck. The couple’s seventeen year old daughter died unexpectedly from complications of appendicitis. After her daughter’s death, Mary’s writing career took a backseat as she devoted her time and energy to her family. 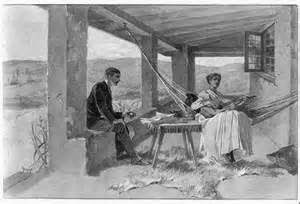 However, in her later years, she produced several more novels, including A Victorian GentleWomen in The Far West, her memoirs. Mary lived to the age of 90 and when she died, the woman who did not want to go west in the first place, had her ashes buried in Grass Valley.